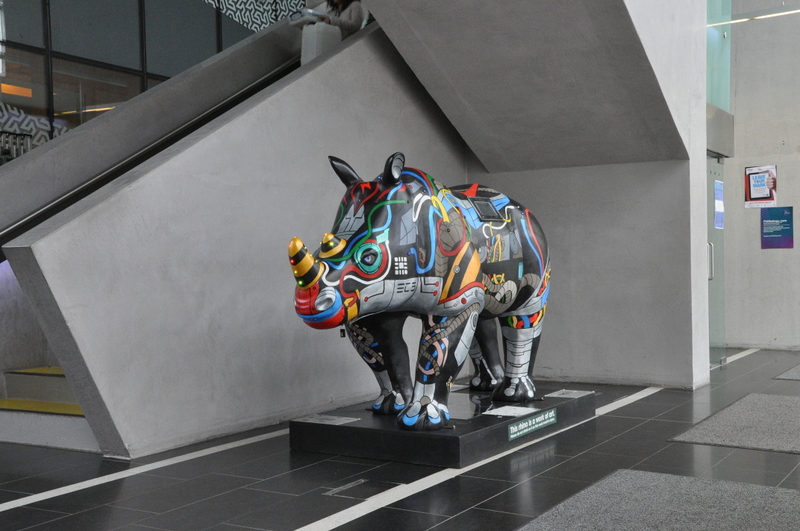 Erica is now in her new permanent home in the Foyer of the Mountbatten Building on the University of Southampton’s Highfield Campus. She will however be making occasional visits out and about. Below are two interactive maps of where Erica has been, where she currently is and where she will be going in the future. The first for the Southampton area and the second more nationally. In Summer 2013 Erica and her cousins where distributed across the Southampton. 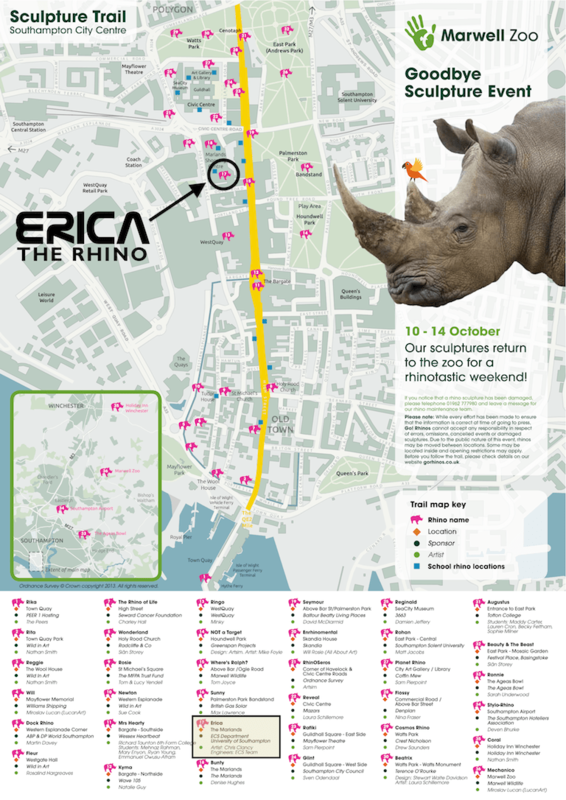 See the Go!Rhinos trail map. See where Erica and her cousins were be located in Southampton in Summer 2013!